So you think you want a grand military parade? MOSCOW — Three years ago, I had the pleasure of covering my first ever Russian Victory Day parade directly from Red Square. As someone who grew up watching too many Cold War movies, I walked into the event with naive, boyish excitement. Standing front row as what felt like the entire Russian military paraded by, I must admit that it was not a disappointment. That was the 70th anniversary parade, a major event in contemporary Russian patriotic lore. And it was the year the Victory Day parade became something more than what may have been an earnest, albeit very Russian, event to mark a solemn and hard fought victory. As talk of a new Cold War proliferated, the parade was used to unveil scores of new vehicles and weapons for the world to see, and fear. 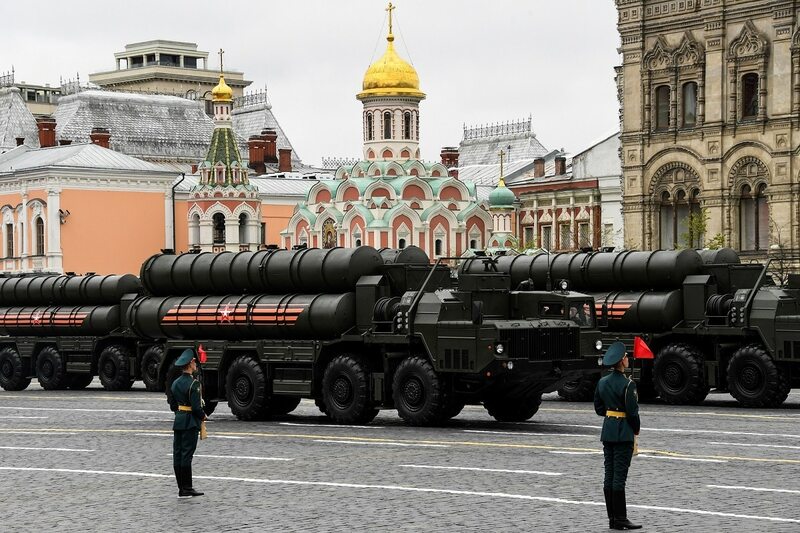 For those, like me, hoping to get a peak of what President Vladimir Putin’s massive military modernization program was producing, the parade was a goldmine. Tanks roared onto the brick pavement of Red Square, followed by every armored vehicle in Russia’s arsenal. Massive bombers flew in tight formation trailed by the red, white and blue stripes of their flag. It is easy enough as an American to witness such a spectacle and wonder why the U.S. military does not parade like the Russians do. In four years of witnessing these parades, I have concluded that it is only something that a government that feels politically or militarily insecure would do. My dissolution with the idea began shortly after the parade ended. I wandered off Red Square and bumped into Steven Seagal (I have a selfie to prove it), and began to witness the public spectacle taking place outside the closed off square. Families with young children flooded the closed off streets of central Moscow. Some of the kids dressed in costumes resembling WWII-era Red Army uniforms. The whole city seemed to be adorned in the orange and black St. George’s ribbons, a symbol that saw a massive boost in popularity after Russia’s annexation of Crimea. Everything about it was unapologetically militaristic. The Victory Day parade serves as an important case study for Americans sympathetic to President Donald Trump’s call for their own massive military parade. While it may seem as simple as calling up Defense Secretary James Mattis and ordering him to arrange a parade, my experience in Moscow over the past four years has shown me it is significantly more complicated. First, preparations begin weeks before the parade actually begins. This takes men and material out of regular and training duty. But, more important for the common man, it is a major, prolonged disturbance to city life. Moscow’s main roads, like the central Tverskaya artery in and out of the city, are closed frequently. This exacerbates an already dramatic traffic problem. 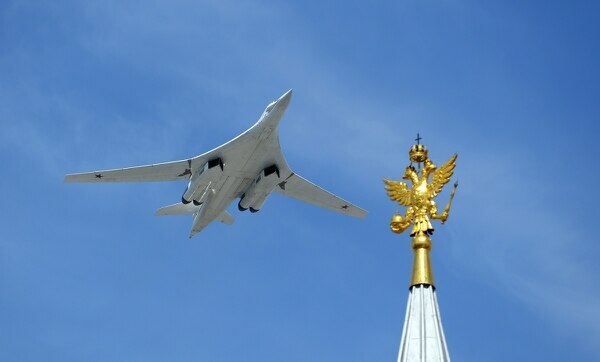 While the processions of tank columns and nuclear missiles make their way through the city streets mostly at night, it is the bomber flights that have really come to bother me over the past four years. They practice their Red Square runs early in the morning, and their flight path has always somehow gone directly over whatever apartment I am living in. If you have never heard the propellers of a 60-year-old Tupolev Tu-95 Bear strategic bomber before, I can promise you that they are loud. Very, unreasonably loud. The massive jet engines hanging below the body of the Tu-160 supersonic bombers are a much more pleasant sound in comparison. They’re all unwelcome, recurring wakeups in the lead up to the big day on May 9. Back to the topic of the children. What kind of message does a parade like this send to them? Inevitably, they will be the most attentive audience. I can’t speak for Russia’s children, but I can’t help but feel saddened when I see legions of them swarming Moscow’s lovely bulevards in play uniforms, fawning over Topol-M nuclear missiles designed to incinerate millions of people. Here's what North Korea showed off at ― and left out of ― its recent military parade, which took place a day before the opening ceremony of the Winter Olympics in South Korea. When the parade ends, the aftermath begins. Transiting across the city center can be a nightmare, especially on foot. Streets remain blocked off for hours. Fireworks are detonated in a steady barrage. One year, I stood on the river bank and found myself dodging large, hot chunks of firework shrapnel falling down on the crowd. This leaves a lot for the city to clean up the next morning. And needless to say, almost everyone wakes up with a bad hangover. The city streets are no match for the treads of a 46 tonne T-90 main battle tank. And, every year, Moscow’s city government dishes out tens of thousands of dollars in street repair tenders after the military has retreated to their bases outside the city. In 2015, the cost of repairs to Manezh Square, a lead-in to Red Square stormed several times by over 100 armored vehicles, cost the city $80,000 alone. In previous parades, repair contracts across the city have sometimes totalled millions of dollars. The parades are messy, expensive, and morally questionable affairs. The White House and Pentagon should keep this in mind.